Do you want to solve your WordPress Web Maintenance? The WordPress Web Maintenance service is designed for all those people who do not have enough time or knowledge to maintain their website. Keeping your Website up to date is not a complicated task, but it should not be neglected. In many occasions we stop performing Web Maintenance because everything works correctly. Why do you have to do a WordPress Web Maintenance? The WordPress platform as its themes and Plugins are updated periodically. In these web updates are added new features and solving problems that arise. These problems can be malfunctions, incompatibility with WordPress or with the rest of Plugins and themes. They are vitally important to solve security problems that increase the vulnerability of your Website. It is important to carry out a good web maintenance of all its components and to have them always updated. But it’s not always as easy as updating and that’s all. Sometimes users who manage our website can make mistakes or accidental deletions and we must be able to reverse them. Rarely, updates to the WordPress platform conflict with any of the Plugins you may have installed. The fact of not being developed by the same company always requires a period of time for everything to be adjusted. This is one of the problems that can arise when performing the WordPress maintenance , but it is not the only one. In most cases its solution is easy, but there are cases where it is not. For this reason, in front of a temporary incompatibility of the components of WordPress it is advisable to have a backup of the Website. Another issue to consider is the loading speed of your web page. With the pass of time and the rise of new content and functionalities, the loading speed may suffer. Your audience do not have the patience to wait for your Web page to load and go to another one. The penalty by Google and make you lose positions in the Page Ranking. 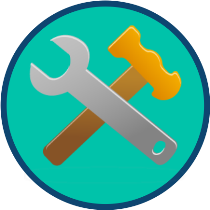 What does my WordPress Web Maintenance Services include? I make sure that the operating core of WordPress is always updated with the latest stable version. I check that all the Plugins you use are up to date and work correctly with the updates of the WordPress platform. In the same way that I am in charge of updating the WordPress platform, I also do it with the Theme that comprise it. I’m in charge of making backup copies of both the BBDD and the rest of the contents of your website. In the case of a serious problem, I am in charge of restoring the last stable backup. It is one of the most known failures in WordPress . I take care of fixing it quickly. I perform a series of checks to see if it is optimal or not. I’m in charge of improving it if necessary. I keep it optimal over the time to avoid to lose positioning in Google. I will answer all the doubts you may have with your website and I will advise you if it is necessary. I will answer all the questions you may have with your Online Shop and I will advise you if it is necessary. I make the modifications you want so that your website is always as you want to see it. Without any kind of binding. You can cancel the Maintenance Service whenever you want, without explanations or complications. Daily Backup (6 days historical). Restoration of the Web Page. 1 Year Domain and Hosting. 1 Hour OnLine Shop Support. Changes are challenges and sources of inspiration. Tell me about them and I will make it your Website. Do you need an expert in WordPress who take care of the WordPress Maintenance of your Website? Here you are in the right place. Always OnLine. Let's Talk!